Slideshow: This car was truly a family affair with its restoration process. The annual Grand National Roadster Show in Sacramento is chock-full of fantastic automotive tales —after all, what would you expect when 100 of the finest muscle cars and their owners all convene in a single conference center. 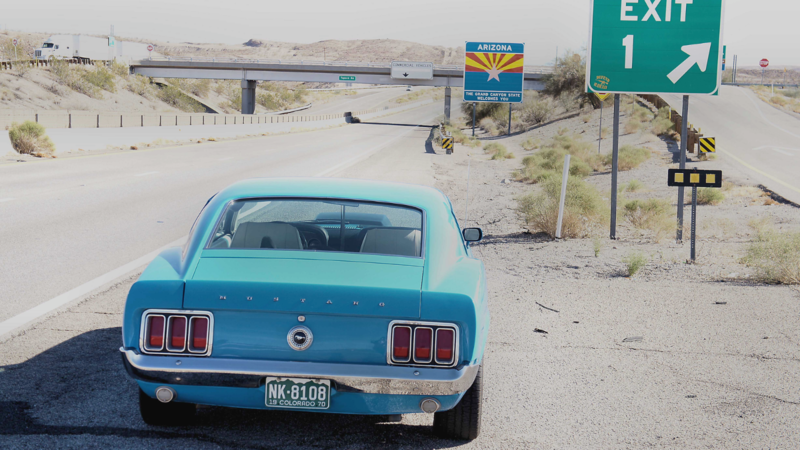 Jim Goss’ 1970 Mustang Boss 429, however, had a story that set it apart from the rest in more ways than one, a tale that permeates with the passion, tradition, and sense of adventure that makes collected and restoring the old classics so great. 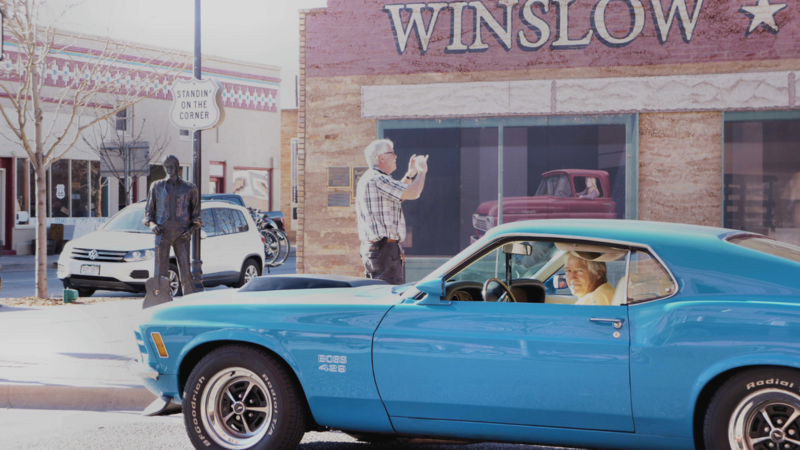 While Goss’ Mustang attracted many an onlooker for its handsome baby blue paint job, another thing brought attention from the crowd: a handwritten note left by Goss in the car’s window. In it, Goss detailed his 1,145-mile trip from Colorado Springs, Colorado to the location of the show in Sacramento, California. Readers were delighted to read how the car got approximately 16.1 MPG at an average speed of 80 MPH —without the luxury, of course, of cruise control. 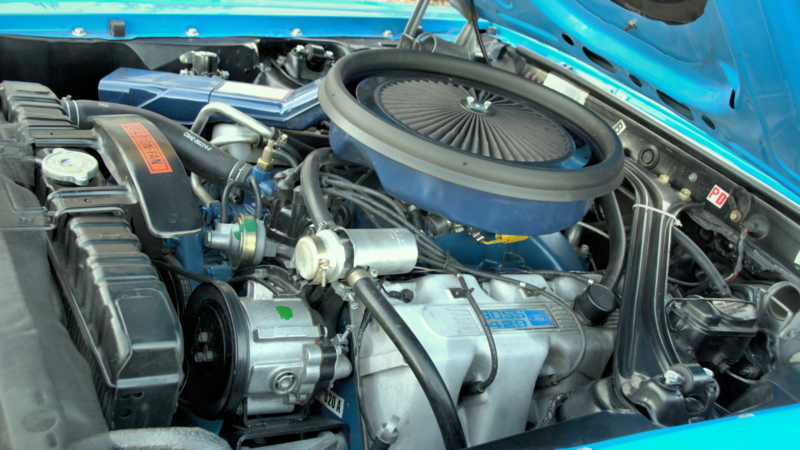 >>Join the conversation about this 1970 429 Boss right here in The Mustang Source forum. While Goss’ journey from Colorado Spring took about 17-hours, he enjoyed every minute. 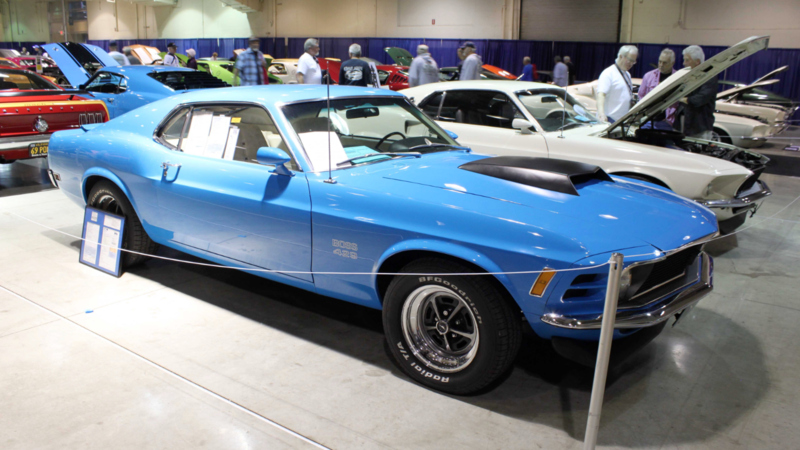 Goss is a veteran owner of a few classic vehicles, including a 1967 Ford Pickup truck and a 1970 Mustang Mach 1. He purchased the Boss 9 he drove to the Sacramento show in June 2013 from another owner in Oklahoma. 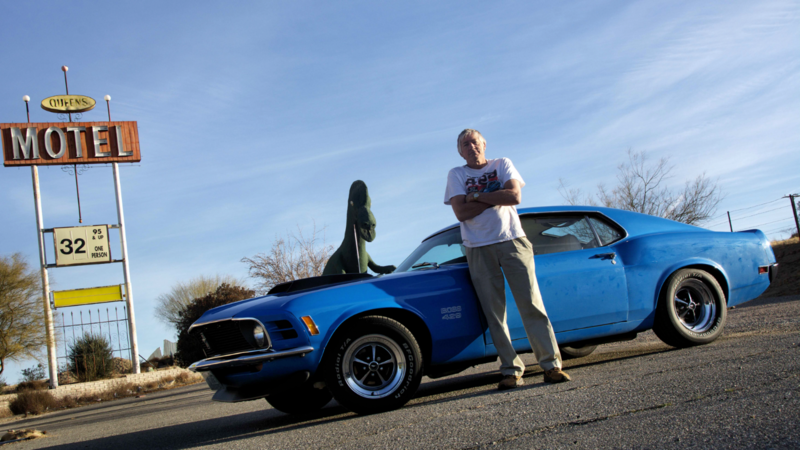 He’s since increased the mileage when he purchased the car from around 20,000 to 35K, having driven it to shows to Montana, Arizona, Arkansas, New Mexico and Texas from his Colorado Springs garage. 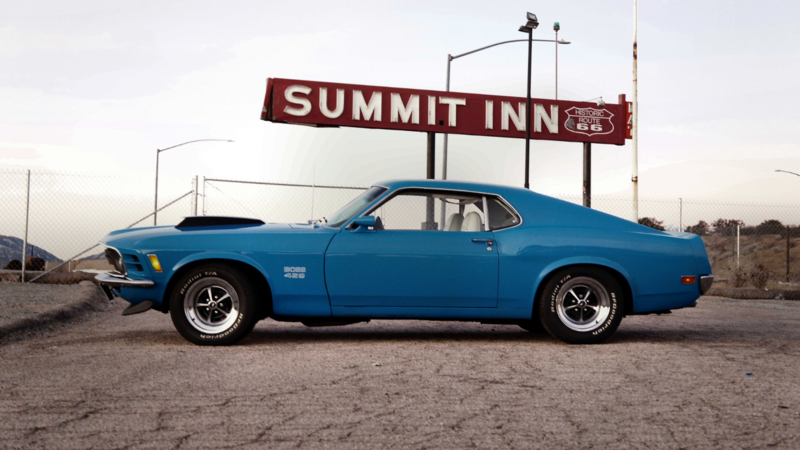 According to Goss, he is the seventh owner of the sparkling baby blue Boss 429. The car was sold in 1983 for $25K and stored for many, many years. 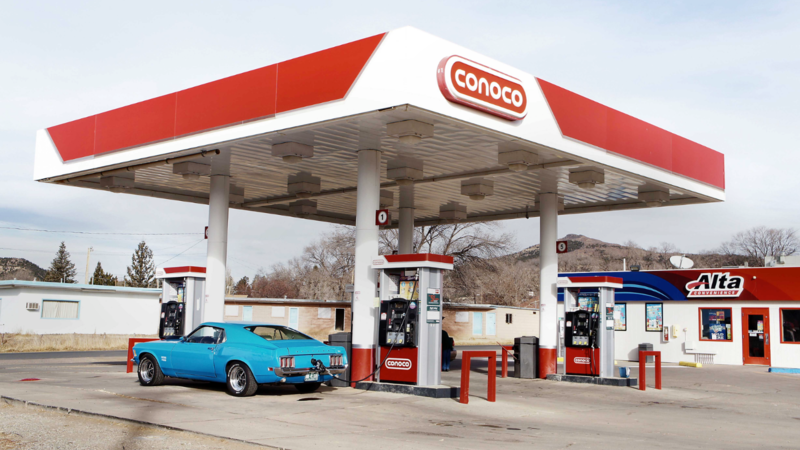 Restored in 2004, it was then transferred to a dealership in Greely, Colorado before making its way to Oklahoma where it was discovered by Goss, who made it his goal to restore the car to as close to factory specs as possible. The restoration of the 1970 Boss 429 became a family affair, undertaken by Goss along with the help of his son and daughter. While the baby blue paint job was in decent condition, it required quite a few touch ups. The car’s front suspension wasn’t just worn —it was the wrong type for its particular model-year and had to be completely replaced. The family trio of automotive talent also replaced a missing stabilizer bar and repaired a leaky engine compartment. In addition to its array of mechanical fixes, the car also required an array of detailed restoration to its interior. In addition to replacing both door panels, Goss also undertook extensive rewiring efforts behind the dash, as well as the installation of a new rear deck panel. In fact, with so many random replacements both mechanical and electrical, Goss suspects that the car may have been utilized by previous owners as a parts car, a theory that makes his restoration all the more impressive. According to the Marti Report, Goss’ car was built on September 9, 1969, and sold to its first owner on March 18, 1970. It was one of 272 such vehicles sold in the “Grabber Blue” paint scheme. In addition to traveling to auto shows across the United States, Goss also drives the car in a variety of drag race competitions. His best time is 14.91 seconds at 97.2 mph in competition with street tires and at an altitude of 4,692 feet at Pueblo Motorsports Park in Colorado. This 1970 Boss 429 is an ideal example of how auto restorations aren’t just works of art on wheels, but also that each has its own unique story to tell.